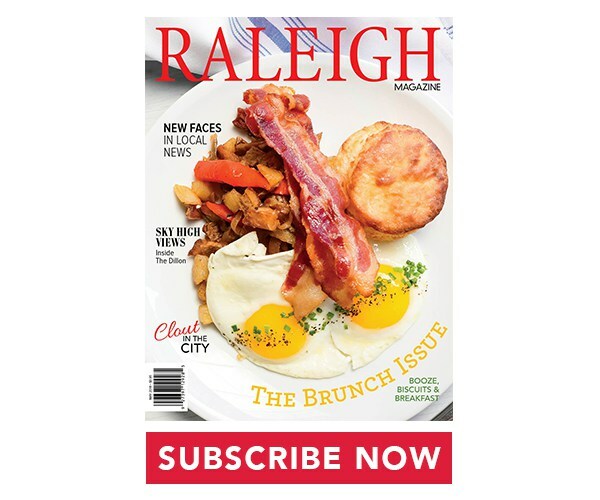 Have you seen the latest issue of Raleigh Magazine? We just happen to be on the cover with one of our favorite meals of the week – Sunday Brunch! Be sure to pick up a copy the next time you are out and about or subscribe online. From White Chocolate and Orange French Toast Casserole to a Crab Cake Benedict, Executive Chef Marshall Smith loves taking traditional breakfast items and making them his own. 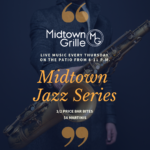 You will also find crowd-favorites like shrimp and grits, omelets, eggs benedict, doughnuts, and more on the menu! And, we can’t forget to mention our delicious biscuits and gravy and our two eggs any way served with home fries, bacon or sausage, and a biscuit. 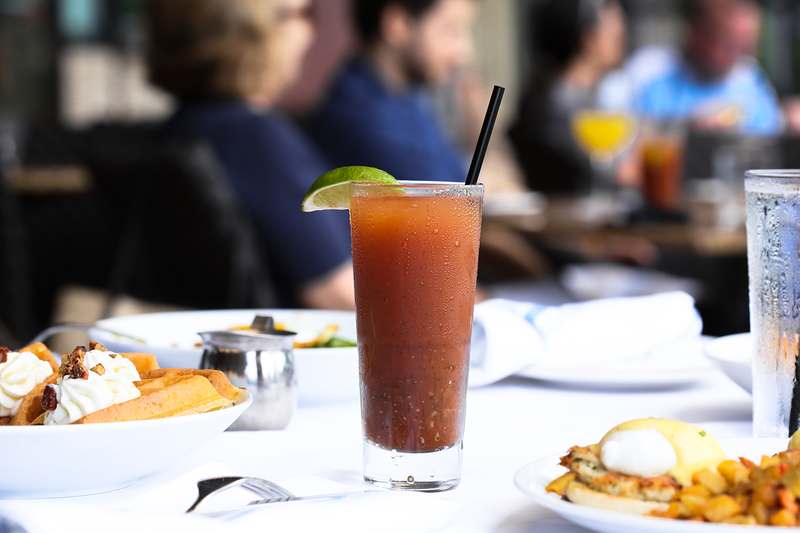 Nothing pairs better with brunch than a Mimosa or Bloody Mary. Enjoy either specially-priced at just $5 on Sundays! In addition to our Sunday drink specials, we also have the full bar open! Try our Kentucky Gentleman – made with bourbon, ginger liqueur, peach bitters, and cayenne float – or ask your server to recommend a beer or wine to pair with your meal. PS. We have everything you need to rosé all day! 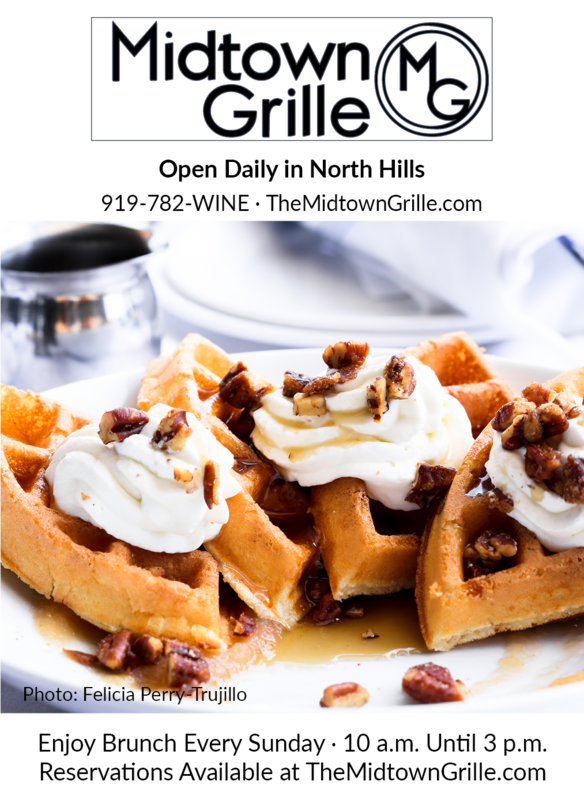 We encourage you to make a reservation to join us for brunch. 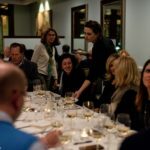 You can make a reservation online or give us a call at 919-782-9463. The weather is also now perfect to enjoy our patio. Please let the host or hostess know whether you prefer to sit inside or outside.